Want to start your school day with a smile? 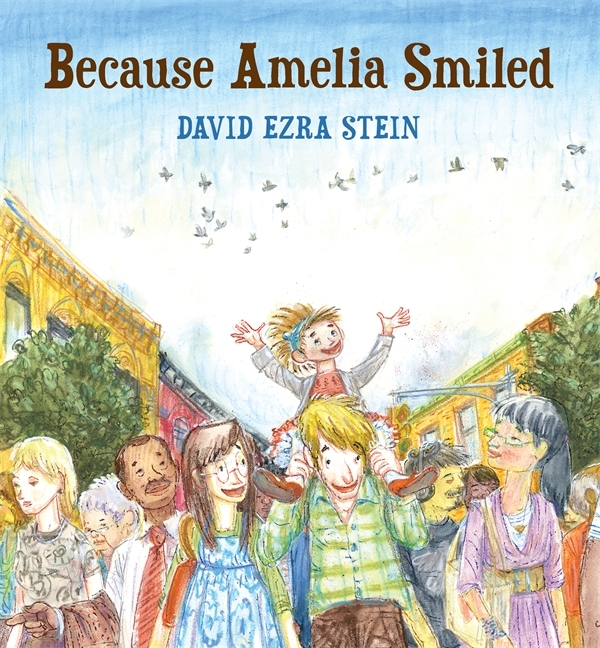 Share the new picture book Because Amelia Smiled, by Caldecott Honor awardee David Ezra Stein and published by Candlewick Press. The story shows how one happy moment creates another, leading to smiles around the world—and around your classroom! If you teach preschool or kindergarten, you’ll be all smiles when you hear about the free curriculum from ABCMouse.com! You’ll find more than 3,000 activities at six academic levels. Activities cover reading, math, science, social studies, art, and music; you’ll find books, songs, games, puzzles, printables, and more. Set up your school account today—click here now! Let parents know what resources you need now and all year long with the new free online registry from Walmart! Create wish lists and supply lists; then share them quickly and easily so parents can access them anytime. Watch the one-minute video to see how to get started. Click here now! There are so many wonderful things about watermelon. 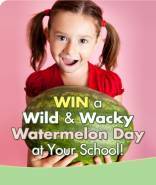 Enter now for your chance to win a Wild & Wacky Watermelon Day at your school! One lucky teacher will win a $1,000 Visa gift card to host the event, and five runners-up will win a $100 Visa gift card. The contest ends soon, so click here to enter now! Little learners (and older students too!) love wordless picture books. Get a free guide for using these books plus dozens of free activities from Random House. 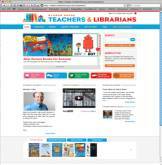 You’ll find teacher guides, printables, book trailers, whiteboard materials, and much more. Click here now! Wow your curious kids with the bold photos found in the National Geographic Little Kids Look & Learn series. 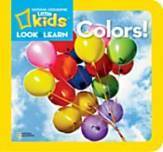 These board books feature age-appropriate concepts such as shapes, colors, counting, and matching. Click here to take a peek! Bring a new source of creativity and innovation into your classroom with LEGO Education! Find out about the latest hands-on solutions for science, technology, engineering, math, language arts, and more. There are even grants available for hosting LEGO community events. Get the details; click here now! Don’t forget, submit your comment and be entered into our drawing! I am smiling about ABC Mouse. I am heading that way right now. “Because Amelia Smiled” looks like a great one to add to our character education shelf! Thanks for another great one! I like the book “Because Amelia Smiled.” This would be a great book to start off the school year. “Because Amelia Smiled” makes me smile because I see so many possibilities of using this book with my students and planting the seed of spreading happiness. I like the book and the wild and wacky watermelon day. Thank you for the tips! We especially liked the watermelon day, Lego education, and National Geographic information. I really like the ABC Mouse for Schools and want to try it out!! I love freebies!!!!!!!!!!!!! Especially books. Words are power. Even though I teach first grade, there are a lot of things and ideas on ABCMouse.com that I could include in my lesson planning. This would be great for differentiation! I love the idea of a book to introduce passing along a smile. Many of my kids needs nonverbal and social skills and I think this would work with them as well. My students love Amelia Bedelia booka so I would love to provide a home for your book. I also love National Geographic Little kida. I just brought my daughter’s copies to school because she has informed methat eight years old is big for he little kids stuff. I love abcmouse.com it made me smile a lot. I can’t wait to get started. Smiles make our days go better…so would love to have a book that includes smiles. This is pretty tough. I smiled at the book “Because Amelia Smiled” But I smiled even bigger at the “LEGO Education”. I just love the hands on approach, watching the imagination go and all the smiles that you see as they build! Because Amelia Smiled fits in so many ways. It has made all my groups smile. And it makes ME smile!!!! !